Whether you’re shopping on Black Friday or leaving the stadium after a football game, we’ve all had that sinking feeling of not remembering where we parked our car. 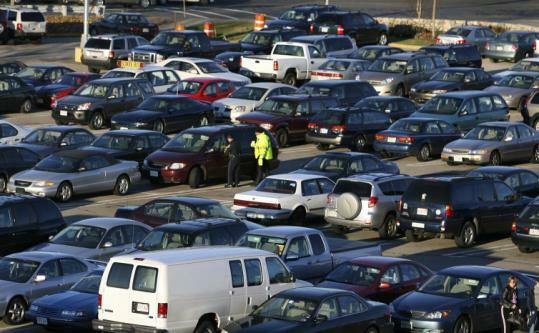 Here are a few ways to remember where you parked your car in a crowded parking lot. Before you say “Hey 24/7 Emergency Locksmith people, these are all pretty obvious suggestions” remember that you, too, have been lost in a parking lot. If you know that your car is probably nearby, hitting the panic button is a surefire way to find it. This isn’t the best method if you’re in a loud environment or your car is out of range, of course. If you have the choice to park your car near something recognizable from a distance like a sign or a specific corner of a lot. Of course, this only works if there are certain signs or items in the parking lot to park next to. Technology is a wonderful thing. Many driving and map mobile apps for your smartphone give you the ability to place a pin where you parked. Once you’re heading back to your car, all you have to do is follow the map. Taking a picture can also help you jog your memory when it’s time to head home.